Adieu fair May, bonjour sweet Fantasy June. June is turning into a very busy reading month. We are celebrating all things fantasy including the 20th anniversary of the publication of J.K.Rowling's Harry Potter and the Sorcerer's Stone. We are also celebrating Father's Day and well as the June Solstice which ushers in Summer in the Northern Hemisphere and Winter in the Southern Hemisphere. With the beginning of Summer, we will be also diving into a summer read-along of Leo Tolstoy's War and Peace starting on June 18th. 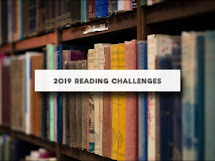 We have three birthstones to choose from the the June Birthstone Bookology reading challenge - Pearl, Moonstone or Alexandrite. You may choose to spell out the word, reading one book per letter or read a book with the name or the colors of the stone in the title. Or perhaps find an author whose name is Pearl, Moonstone, or Alexandrite. You may decide to find a book set in the time period where the birthstone was discovered or surrounding the myth and lore or set in countries where the birthstone is currently found. 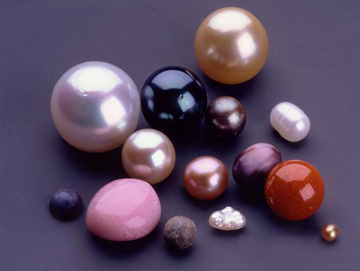 The first recorded mention of natural pearls was in 2206BC by a Chinese historian. Cultured pearls (those grown on pearl farms) were produced by the Japanese and Chinese sometime in the 20th century. Moonstones were discovered back in ancient times and Pliny wrote of how the stone's appearance shifted with the moon phases. The discovery of Alexandrite dates back to imperial Russia where it was found in the emerald mines in the Ural mountains. We'll be exploring both Fantasy and Science Fiction over the next two months. Our armchair travels this month are taking us into the world of Fantasy as we celebrate the 20th Anniversary of the publication of Harry Potter and the Sorcerer's Stone, as well as the imagery worlds that exist outside of ordinary life, time and/or space. More on the world of Harry Potter next week. The fantasy genre encompasses a wide range of subgenres from fairy tales and myth to alternative history to magical realism to alternative histories to romance fantasy, just to name a few. Plenty of rabbit trails to follow and opportunities to fill your shelves with intriguing and entertain and/or fun beach reads.